Though times are bad, but you will see lots of people eating out instead of having reunion at home. I hope that’s the sign of helping the economy, however, from these years you could see many Chinese restaurants are actually opening up for biz on New Year’s Eve. As far as I know, restaurants like Forum Chinese Cuisine Restaurant in Island Plaza is opening, East Hakkaido Seafood Restaurant that located in Jalan Bagan Jermal is opening too. Those years, only hotels’ Chinese restaurant will cater for such needs, but now, you could see times are bad, people are even opening up for such occasion. My in law are old to cater for a major reunion for the family, thus these years, the sons decided to eat out instead of having the hassle at home. This year, we have arranged it in Vistana Hotel located in Bukit Jambul. 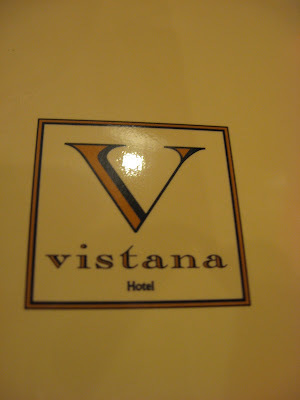 When we were told to dine in Vistana, first thought was has Vistana Hotel has any Chinese restaurant?? Never thought they could arrange it in a ballroom with all tables setup nicely. Followed by the sequence below…. I was told the entire package was costs about RM239++, the food is nothing to shout about, more of get together for the reunion. 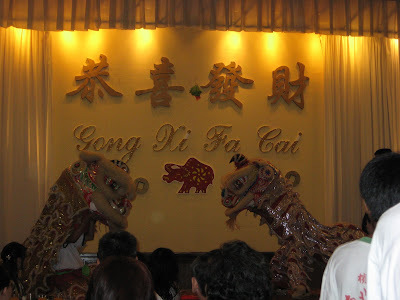 Oh yes, in between the session there was this Lion Dance and singing performance. 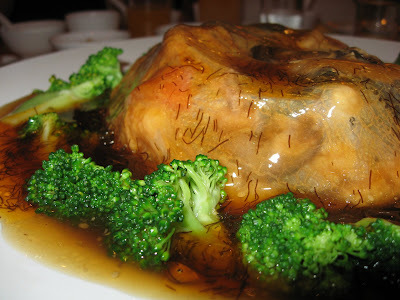 I had tried a few times on the food at Vistana Hotel, mostly I love the Braised Shark Fin. I find that the way they prepare this dish is a bit outstanding compare to other. 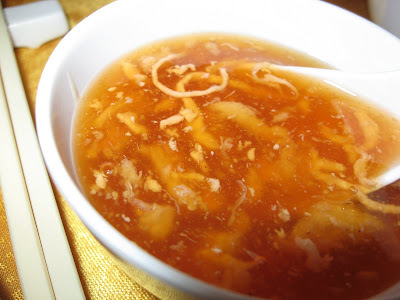 The taste of soup with fresh crab meat and also the tick chicken stock base is very delicious. 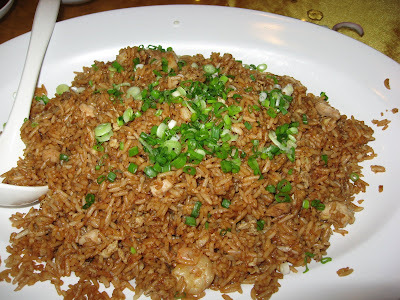 That fried rice and shrimp would go down really well. 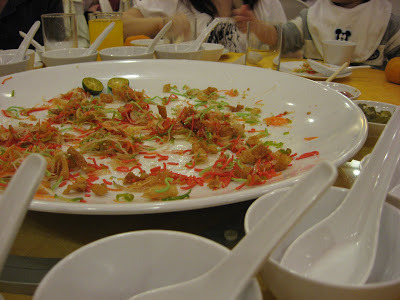 wow dining while having lion dance . . .awesome! True that it saves the hassle of cooking and washing up, leaving more time to catch up with family but in the past, we've found that eating out during this season guarantees subpar quality, so we've gone back to making simpler meals at home! yeah, sometimes its the thought that matters. at the halfway mark now, another week to go. the mushroom and prwans look good ler!! Its the reunion that matters! 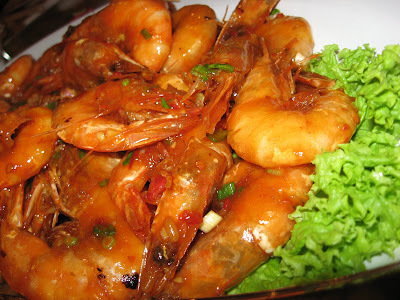 Not easy to get good food as quality is compromised somewhat to accommodate the bookings. I was also surprised to see lots of people dine out during our reunion dinner. Maybe everyone needs a break on the New Year eve. Hi Little Inbox, hey, are you going to share your reunion posts?? I can't wait to see. 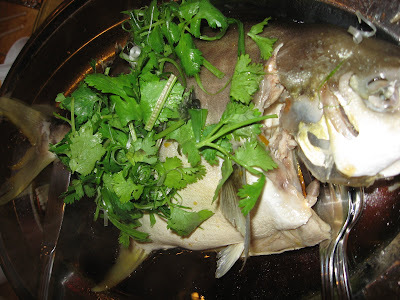 Hi Steven, honestly the shark fin soup was lousy, was too starchy for us. Hi Cynthia, not too bad. But a bit dry honestly. Hi 550ml jar of faith, it's always have pros and cons. Hi J2Kfm, well, final day today! Hi duckie, not too bad la! Hi worldwindows, yup... you're right. Hi Food4Tots, honestly, have no idea. Some people are just avoiding the hassles in the kitchen. Depends what people look at it. Hi Cariso, also right la! Hi Huey, Thanks for dropping by. But remember to make reservation a month ahead ya? !